Really, it's purely serendipitous that I dig into a new bar of soap in the new year. I'm one of those people who cannot pass up "boutique" lotions and soaps. And once I buy them, they go unused for years under the sink. 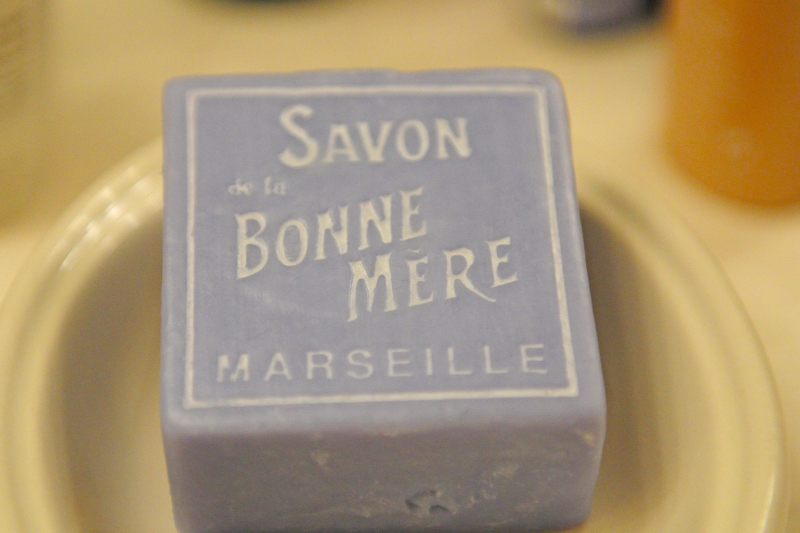 Case in point, I bought this soap in 2007, at a L'Occitane store in Columbus, OH. I guess I thought it was too pretty to use. After all these years, it still smells nice - lavender that reminds me of spring.